Hello guys and happy new year. New Year = New Beginnings and for that New Year’s Resolutions. Unfortunately, people don’t stick it to it. We say I am going to this and that in that year and the year before but it doesn’t happen. That’s why below you get this comment. But by not sticking to your new year’s resolutions, doesn’t mean that you should stop pressing your goals and ambitions. I see as the new year begins, it’s time to look back in the previous year and reflect on things that you have achieve, what made you smile, what made you feel sad, things in where you have made mistakes and also look back on things that you want to achieve but not yet fulfil that target. That’s what each new year brings. It gives you the opportunity to challenge yourself and fulfil your goals and ambitions. Write down your hopes and dreams from a notepad and try making it happen. Whatever your goals may be, this year is the year you for to start progressing. And with that you need the desire, the determination and the motivation to succeed. I believe an important step for to reach your goals is to surround yourself with good people who are ambitious, who know what they want in life like yourself, who can encourage you and who are full of positivity. Sometimes you need that extra push for you to get through the hurdle. However, if you feel you not getting that from people who dampen your spirits, then I think you need to cut all ties with them. Sometimes when people are being negative and apprehensive towards you, you feel like whether you done something wrong to them and it make you feel like crap. But then you realise it’s them that has the problem and not you. I realise sometimes people are constantly being negative towards you as they are insecure about themselves. I feel something has happened in their life which is why they are the person they are now or they are worried that your life is going somewhere and theirs are not. So don’t allow them to interfere in your plans and make them feel bad about yourself. In order to grow, you need to let go of bad rubbish. That’s what I am going to do and so should you. I am excited of the year of 2015. 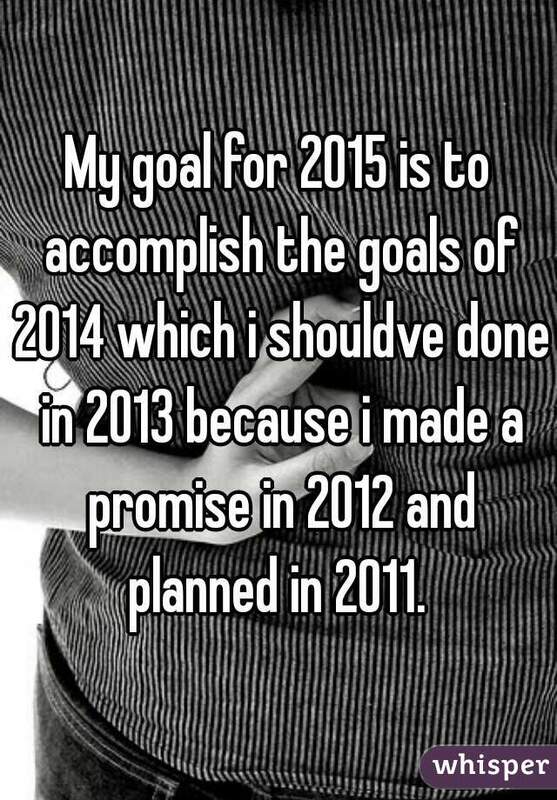 I have many goals I want to achieve this year. I won’t reveal all but my goals of 2015 is to expand my blogging page, get more views and of course write more blogs, improve my Spanish so I can be more fluent, go on a few holidays to explore different cultures and relax of course and something I’ve been wanting for years which is to have a girlfriend which will hopefully become my wife in the next few years. Will my plans become a reality this year? I really hope so but if it doesn’t happen, then it wasn’t meant to be as from a Christian perspective, I believe the Lord Jesus Christ may have plans for me that may be even better than the plans I have right now. From Jeremiah 29:11 it says “For I know the plans I have for you,” declares the lord, plans to prosper you and not to harm you, plans to give you hope and a future.” I feel this verse is a encourage verse for Christians alike who may feel dishearten in why their plans is not succeeding. He has plans for all of you so all you got to do is trust in him. Hopefully I will post a blog at the end of the year to see whether I have fulfilled my goals. But for everyone who have goals this year… only you and not the influence of others can achieve your goals. Believe in yourself, press towards your goals and make it count. Good luck in the year and make it the best yet.